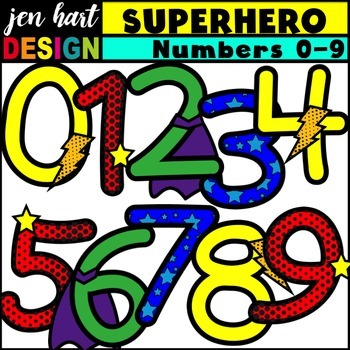 Number Clipart - Superhero themed number clip art is packed with 80 clipart pieces! 4 festive design sets of numbers 0-9!!! As with all jen hart DESIGN clipart products, each set also includes blackline images! 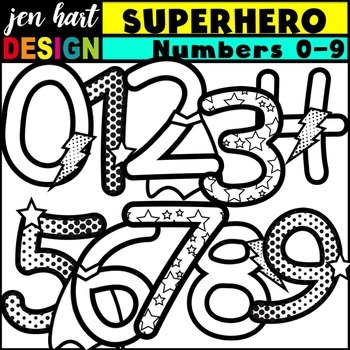 Add some "super" fun to all your math classroom and TpT resources. Each clipart image is saved as a .png file at 300 dpi, which allows you to resize while keeping clean lines and colors.